Material: M-2, M35, ASP 30 etc. - Material Grades: YG6/YG8/YG11C/YG15C etc. To furnish the diverse requirements of our clients in the best possible manner we are involved in offering an extensive range of Thread Milling Cutters. We are manufacturers of Thread Milling Cutters in HSS and Solid Carbide. Thread Mills are economical solutions to Large Threaded Holdes. Spiral Flute ensures reduced load and improved finish. With wide and rich industrial knowledge and experience, we are able to offer an ample range of Thread Milling Cutters to our respected clients. These are purchased from leading manufacturers and vendors to ensure high quality. 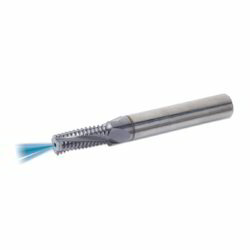 Thread Milling Cutters is used for making threads having good wear and tear resistant. These are sourced from SECO, these products can also be used for machining soft steel, aluminum and high-grade alloys. These Thread Mill Cutter are widely known for its durability and quality. Our Thread Mill Cutter can be availed at industrial leading prices. - HSS & Solid Carbide Taps. - Indexable Threading Inserts & Holders. We manufacture Thread Milling Cutters as per customer specification for thread milling m/c, milling of troub m/c. We manufacturers cutter with the best process to it give accurate profile accuracy & life of the cutter capacity. 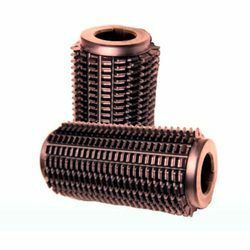 We offer a wide range of Thread Mill, which provides maximum wear resistant while cutting high carbon, alloy and stainless steels, titanium, high temperature alloys, aluminum, bronze, cast and ductile iron. We are dedicatedly involved in providing an excellent quality array of Carbide Thread Milling Cutter for catering the various needs of our clients.